Keeping the diverse requirements of customers in mind, we are instrumental in offering Institutional Chair. 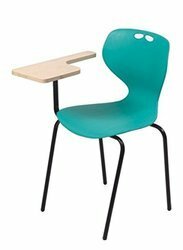 We specialize in manufacturing of Educational Institution Chairs which is available in standard and custom designs. Our range is designed in order to provide comfort and reduce fatigue at an educational institution and come with hand rest support. We manufacture office chair that is highly demanded in many schools, institution, and many companies for office purpose. These are highly competitive in price but still the look is classy and expensive so you will not regret your choice. Being one of the leading manufacturers of this impeccable range of Institutional Chair, we never compromise with its quality. Student Chair, Writing Board, Powder Coated Book Try Under Seat, PP Seat Back Shell, Pipe Stand. 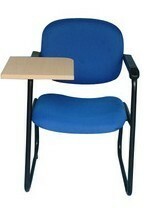 We are engaged in providing a wast range of Institute Chairs. These student comfortable chairs are ergonomically designed considering the needs of students in classroom settings. These Student Chairs are easy to use and light in weight. Moreover, price for our range is very competitive for the convenience of the clients.